The Black Course at Bethpage State Park will be closed for several days later this month to host the annual New York State Open. Dark dates for the New York State Open will be Monday, July 16 through Thursday, July 19. Tournament rain date is Friday, July 20. As usual, the Black Course will also be closed every Monday for maintenance. The Red Course will also close on Monday, July 9 and Tuesday, July 10 for the Women's Stroke Play Championship. Rain date is Wednesday, July 11. Visit the Bethpage Facebook and Twitter pages for the most updated schedule information. Nassau County lost its only beachfront pitch-and-putt layout in 2012 when Hurricane Sandy (and Irene the year before) pummeled the short course, long a fixture beside the iconic tower at Jones Beach. Three years later, Nassau golfers got one back when the county cut the ribbon on a new pitch-and-putt a few miles to the west at Nickerson Beach. The nine holes at Nickerson Beach -- officially Nickerson Dunes, according to signs and scorecard -- opened for play in 2015, an under-the-radar addition to the list of barrier-beach pitch-and-putts that also includes Cedar Beach and Robert Moses State Park in Suffolk. All but two of its holes measure 70 yards or less, and the longest tops out at 105. Golfers of all ages and skill levels can enjoy it on its own or as part of a full day at the beach, and surprisingly there are some elements in the design to catch the eye of the most golf-experienced players in each group. Unlike other pitch-and-putts delivering greens that are simply flat and functional, Nickerson offers legitimate putting surfaces, complete with moderate slopes and familiar fringe cuts that give way to taller rough. On #1, raised rough around the edges of the green create a bowl-type target. An oval-shaped green on #2 flows toward the back. A series of small, grassy mounds line the path to the third green, while at #4, another series of small, round bunkers encircle a green that's only 54 yards away. At #5, a boardwalk leads the way uphill to an elevated green that sits out of view. You'll go back down the hill at #6, the shortest hole on the course (46 yards), but one that requires a little touch when aiming for a wavy diagonal green (pictured below). A ribbon of sand rings the green at #7, creating somewhat of a moat effect. Certainly the most unique hole on the course, and also the most daunting, is the 70-yard eighth, a desert-style site where a sandy waste area covers the entire length from tee to green. The tiny target is sandwiched between a retaining wall short and a berm long. Tee shots are played off a raised box with mats and a rubber tee. By nature, the pitch-and-putt greens are prone to ball marks (signs throughout the course remind players to fix them) and, in some areas, small divots. Some holes are separated by boardwalks. Watch your step -- some weathered boards have raised or twisted over time and could cause a fall. If balls bounce into the dense native vegetation along and between most holes, do yourself a favor and chalk it up as a loss. There's at least one sign with a poison-ivy warning, not to mention whatever thorns, bugs, creatures and other hazards lurk beneath. Sunscreen is a must-carry; bug spray is recommended as well. Green fees are a modest $7 for adults and $5 for kids and seniors, but players first need to pay for access to the park ($13 per vehicle with Nassau County Leisure Pass). Balls and clubs are available for rent at $1 each. Have thoughts and opinions on Nickerson Dunes? Share them with other Golf On Long Island readers by posting in the comments section below. Looking for ways to attract more golfers during off-peak hours, the Town of Huntington has implemented "demand-based pricing" to reduce green fees for non-residents at the municipal Crab Meadow Golf Course in Northport, according to a town press release earlier this month. Under the new pricing schedule, rates for non-residents (and residents without a town golf card) have dropped from $46 to $29 for rounds played Tuesday through Thursday between 11 a.m. and 3 p.m. Green fees for seniors and disabled persons are now $21. The near-40% reduction means non-residents pay the same price as Huntington players during these low-demand times. Weekend and early-morning rates are unchanged. The new pricing model will remain in effect at least for several months, effectively through the summer season, according to town officials. “We have the most beautiful public golf course on Long Island," said Greg Wagner, Huntington's Parks and Recreation director. "The more we can expose and attract our neighbors, the more word spreads and generates interest in returning for another great day of golf and food at Macs at the Meadow." Crab Meadow, which celebrated its 50th anniversary in 2015, is one of many Suffolk County golf courses designed by William Mitchell in the 1960s and 1970s. The property overlooking nearby Long Island Sound has hosted golf since the 1920s, when it was originally home to Devereux Emmet's Northport Country Club. For more on Crab Meadow, visit the course flyover. Shinnecock Hills is the capital of the golf universe this week, and there are plenty of agonizing East End traffic reports to prove it. And while vaunted Long Island clubs like National, Sebonack, Maidstone and others are picking up some of Shinnecock's spotlight rather than the likes of Pine Hills and Poxabogue, let's just say those places don't exactly welcome walk-ups. Right there in the middle of the Sunrise Highway soup is the Southampton Golf Range, a family-owned throwback with a driving range, mini golf and batting cages. It's located about a mile east of Shinnecock and offering extended hours during Open week. Bonus points for media members -- it's directly across the street from media parking, so keep your bags in the trunk (it's open until midnight). Poxabogue Golf Center is a quaint par-30 that's been a fixture in the Bridgehampton area for more than 50 years. Its suitable for all skill levels and features one of the biggest practice ranges on the Island. It also attracts a fair share of celebs for a little public nine-holer. Also nine holes, the Sag Harbor State Golf Course is the least known of Long Island's NYS munis, though it's been around for nearly a century. Keep heading east, almost until you can't go any farther, and you'll find one of the most popular NYS munis at Montauk Downs. Nothing can replicate Shinnecock, but with the ocean to the south and bays to the north, the swirling winds at Montauk are similar. Shelter Island Country Club -- aka "Goat Hill" -- is nearly as old as Shinnecock. A ferry to Shelter Island plus nine holes make for a nice Open Week afternoon. On the North Fork, Cedars Golf Club is another pleasant nine-holer tucked away in Cutchogue. Like Montauk Downs on the South Fork, Island's End Golf & Country Club is perched almost on the tip of the North Fork, hence the name. It features one of the most picturesque par-3s on Long Island -- public or private. Indian Island Country Club is one of Suffolk's four county munis and the only one on the East End. Parts of the course play along the Peconic River and Flanders Bay; the rest is more of a parkland layout. Sandy Pond is another throwback nine that has been rejuvenated under new ownership in recent years. There are water holes, fescue and an overall friendly vibe. Once the private Olde Vine Golf Club, the Riverhead course known as The Vineyards Golf Club features Shinnecock-esque winds that team up with very fast greens with slope. Next door to The Vineyards are Cherry Creek's Links and Woods courses. Though not a links design in any sense, the Links 18 is one of the longest layouts on the Island and features the region's only par-6 at #18. The Woods is a shorter, more strategic course with trees bordering nearly all fairways. Manorville delivers a trio of 18-hole options with varying styles. Swan Lake Golf Club is comfortably open and offers some of Long Island's most spacious putting greens. Rock Hill Golf Club is roomy in some areas, tightly wooded in the rest, but challenges throughout the course with thick, unforgiving rough over hilly terrain. The par-73 Pine Hills Country Club is nearly as long as Bethpage Black. For courses beyond those areas, check out our Long Island course map, which includes links to flyover descriptions of all courses, as well as our Visitor's Guide to Long Island Golf for a broader overview of the local scene. No doubt you have a bit of a golf itch as talk of the U.S. Open and Long Island golf hits fever pitch this week. Brentwood Country Club and Holbrook Country Club can scratch that itch and leave plenty in your pocket for post-round brews with the Open on TV. Brentwood and Holbrook's familiar discount rates are valid through June. After 11 a.m., rates are $42 per player, with cart and reservation fees included. For those who prefer to walk, 18 holes cost $24. Brentwood is closed most Mondays and Holbrook most Tuesdays for private outings. The 2018 Long Island Sound Summer Tour, a junior-golf tournament program presented by U.S. Kids Golf, will hold its first of eight events next month at The Vineyards Golf Club in Riverhead. Registration for the tour is open to boys and girls between the ages of 5 and 14. U.S. Kids Golf Local Tours give junior players the opportunity to build their skills in age-appropriate competitions on courses located close to home. 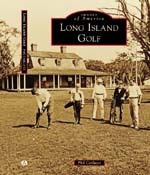 The Long Island Sound Summer Tour consists of eight single-day tournaments on Long Island, New York City and Connecticut golf courses. Participants can enter as many events within the tour as they'd like, and are encouraged by U.S. Kids Golf to have caddies, preferably a family member. Four of the eight Sound Tour events will take place on Long Island and Queens courses, including the opener at The Vineyards on Tuesday, July 10, as well as the Tour Championship on Monday, August 20 at Pine Ridge Golf Club in Coram. In between, the Tour stops at Timber Point Golf Course in Great River on Wednesday, July 18 and Forest Park Golf Course (Queens) on Wednesday, August 15. The other four events are scheduled at courses in Westchester, Putnam County and southwestern Connecticut. Registration is $51 per 18-hole event, and slots are filled on a first-come, first-served basis. Players can sign up until three days prior to each event. For full schedule information and a description of U.S. 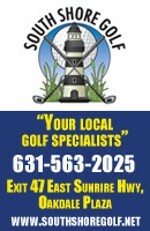 Kids Golf's local tours, visit the Long Island Sound Tour page.